Let’s be honest, as teachers we are horrible at singing our own praises. There is a real possibility that you are doing amazing things in your classroom that no one else at your school even knows about. You may present at a local technology conference or you may have even stepped up to present at a state or national conference, yet the teacher across the hallway has no idea what you’re doing. Why do you not share your success? My friend Curt Rees recently shared with me the video “Obvious to you. Amazing to others” by Derek Sivers. Curt knows me well enough to know that I would rather crack some self-deprecating joke than to say anything about amazing things that I am doing. I do not want to appear arrogant. I have self-doubt. I am probably like you and do not feel that my ideas are anything but obvious. I need to get over myself. So do you. You are amazing. You are changing the lives of students. You take risks that go well beyond the curriculum map and there is probably a good chance you fail more than you succeed. It is time to get out of the silo that you find yourself teaching in. Start a blog. Jump on the twitter bandwagon. Present as often as you can. Put up your student work everywhere! Communicate with your principal and show them just how amazing you are. I think you will find that there are people just like you out there, teaching in the shadows- doing amazing things that they just think are obvious. Those people may even be across the hallway from you. I now surround myself with people who recognize that I am a rockstar. Yep, you read that right. I am a rockstar. 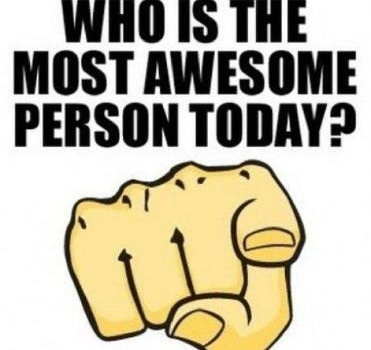 So are you! It’s time to own it. Stop acting like you are not amazing. Your students deserve a teacher that believes in themselves. Next PostHave you started Remix[ing]?